Meet the 2018 Grant Recipients! Namta’s new Art Advocacy Grant program has made it first awards, recognizing each of three outstanding programs with a $2,500 grant. The Namta Art Advocacy Program awards grants in the amount of $1,000 to $5,000 to applicants who support the arts in one of four categories - Public Art, Art Education, The Military, and Health & Healing. 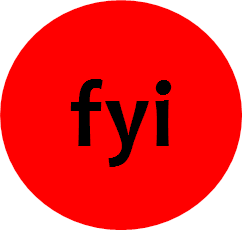 Namta members, you helped Namta get the word out with Grant Flyers and by posting the information on your social media and websites, and we thank you,” said Siffringer. Supporting Art Education, Lindy Casebier, received $2,500 for expenses for Children’s Fine Art Classes (CFAC), a hands-on visual art experience for Louisville’s youth that is an after school program hosted at K-12 schools and youth centers. The program meets weekly for two hours, giving students ample time for in-depth art-making, for ten weeks in the fall and spring. 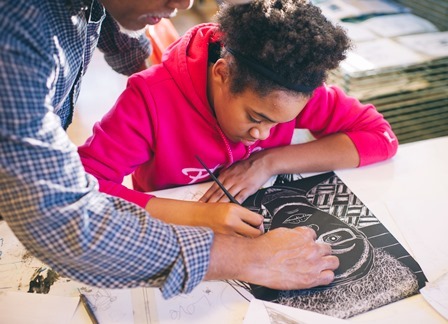 CFAC provides intensive, in-depth studio art experiences for talented and motivated students, grades 4-12, and elementary and middle school students are offered concentrated studies in drawing, painting, mixed media, art history, critique, and aesthetics. CFAC students “graduate” with the ability to discuss their work and their peer’s works intellectually and emotionally. Supporting Health & Healing, Mary Curry Mettenbrink, received $2,500 for Young Audiences of Houston health and healing program that has partnered with local children's hospitals and specialized treatment centers for more than 20 years, providing free programming for children undergoing treatment as many hospitalized children are required to be out of school for extended periods of time. 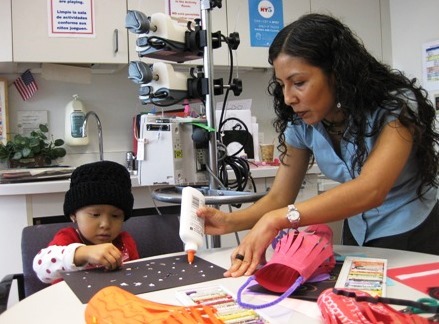 The goal of Young Audiences of Houston’s Healing Arts programming is to use the tremendous power of the arts to spread joy, give hope, manage pain, support treatment, and leave positive memories for hospitalized children and their caregivers. Young Audiences Healing Arts programs also serve homeless youth facing challenges and tackling issues, the arts become a valuable tool for creation, discovery, expression, hope and healing. Supporting Art Education, Alice Brinkman, received $2,500 for Creative Connections, a before/after school program offered at REACH Studio Art Center for Lansing area youth ages 6-12. The school district provides buses for the students to get from REACH to 3-6 targeted schools each 16-week semester for their delayed start on Wednesday mornings. Lansing School District students enroll free of charge in the program. Up to 100 students will have the opportunity to enroll in one term or semester of the program, where they will engage with local artists on integrated art learning through special projects that build on the previous week’s lessons and projects. Each term of the program covers a different, engaging theme which is planned and run by an artist/teacher and will involve guest artists, college students, volunteer mentors, and partnerships with other local organizations. Goals include building the student's confidence, and art experiences to improve decision-making and problem solving skills, indicated by their ability to complete art projects and participate in program activities. 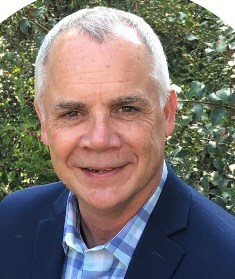 The grant program will be continued again in 2019 and plans to seek additional sponsors for the program are in the works. This past year two Namta members, Colart and Fredrix Artist Canvas, contributed a total of $5,100 to the program and an additional $1,000 was earned from sales of Art Matters merchandise. 1. Keep Your Eye On the Big Picture. We’re talking long range goals for you store. Short term goals are important too, but to keep the future bright you need to make future plans. 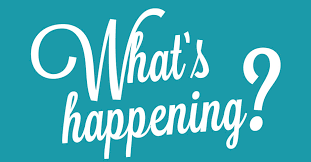 Part of this involves keeping track of retail trends, planning future floor moves, seeking new lines you’d like to add to your inventory, additional training for store associates, etc. If it sounds overwhelming just remember this African proverb: “How do you eat an elephant? One bite at a time.” The same goes for your store goals. You can easily accomplish what you need to do by breaking your goals into smaller, more manageable, easy-to-do steps. Delegate some to your associates. Plan your work, and then work your plan. 2. The Customer’s Perception is Your Reality. Every retailer has an opinion of their customer service and it’s usually better than what their customers think. When it comes to service, the customer’s perception is the only one that counts. Don’t ever assume you know what your customers are thinking because if they’re not happy they probably won’t tell you, they’ll just quietly go someplace to buy what you sell. If you don’t know how your customers define great service then you’re going to have to ask. For a few hours each month, station yourself near the front door and conduct Exit Interviews. Introduce yourself and ask shoppers leaving the store if they found everything they were looking for. Ask about their in-store experience and interactions with associates. Inquire about classes or events they’d like to attend or product they wish you carried. When a customer tells you something good, write it down. Use their positive quotes as testimonials in social media posts, on bag stuffers, email blasts, and on your website. A customer testimonial equals instant credibility because it’s 10 – 20 times more believable than what you have to say about yourself. 3. 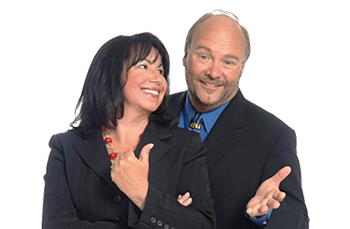 Implement the 7-Tile Rule: Each time anyone – sales associate, stock person, truck driver or CEO comes within seven floor tiles – that’s 7’ – of a customer, they must personally acknowledge that customer. Engage the customer in conversation or look him/her in the eye and smile and nod – whatever makes sense is okay as long as every single customer is acknowledged. You really want to make this a priority? If an associate catches you ignoring a customer, lunch time pizzas are on you every Saturday for a month. 4. Practice the 360 Degree Pass-By. You should do an in-depth tour of your sales floor at least once a month, but to keep things in balance do our 360 Degree Pass-By each morning before you unlock the doors for business. This shouldn’t take you more than 10 minutes. Begin with a quick survey of the parking lot, followed by a look at your store front, noting what needs to be fixed before you open. Access the Decompression Zone (the first 5’ to 15’ just inside the front door of the store); make sure the Speed Bumps and other displays at the front of the store are full, fluffed, signed and ready to sell. 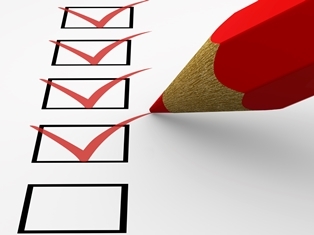 Review your in-store signing to ensure it’s in good shape and makes sense where it is placed. Review the impulse items displayed at the cashwrap, making sure there is enough space for shoppers to comfortably complete their transaction. Walk every aisle, noting places that need to be cleared before the store opens. Double check your merchandise presentation. Are the displays fresh? Do they encourage customers to stop and look and buy? Are there displays missing bin tickets or that need to be restocked, straightened or signed? Look for additional areas to cross-merchandise product to increase your average sale. 5. Train Your Team. Your store associates should always be ready to engage with customers. They should be up on the features, advantages and benefits for each item you carry – and if they can’t answer a customer’s question do they know where to go to get help? 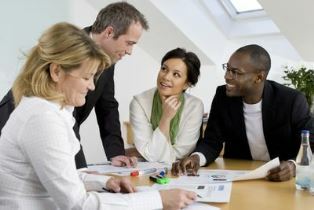 Place customer service and product training be high on your agenda of things to do each month. Store meetings should be the norm rather than an occasional occurrence. A renewed emphasis on each of these five things will help you combine a unique in-store experience with great customer service. Each one will help you build positive word of mouth, still the number one thing that brings new customers to your store. Maybe you'll have time for a visit to the McNay in February when you are in San Antonio for Art Materials World 2019. "I wish you would recollect that Painting and Punctuality mix like Oil and Vinegar, and that Genius and Regularity are utter Enemies and must be to the end of time." - from Thomas Gainsborough in a 1772 letter to Edward Stratford, excusing himself for not yet finishing the portrait of him and his wife. 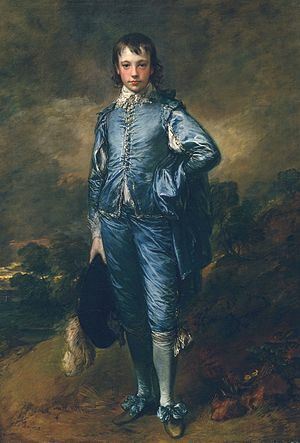 Thomas Gainsborough 1727 - 1788) was an English portrait and landscape painter, draughtsman, and printmaker. He became the dominant British portraitist of the second half of the 18th century. He painted quickly, and the works of his maturity are characterized by a light palette and easy strokes. He preferred landscapes to portraits, and is credited (with Richard Wilson) as the originator of the 18th-century British landscape school. One of his most famous paintings is The Blue Boy, pictured. 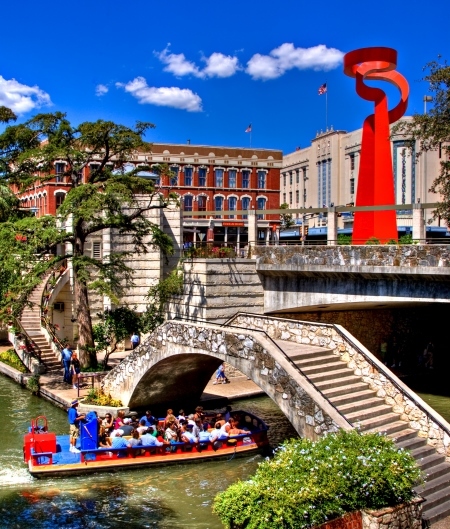 You may not have time to see all that San Antonio has to offer but here are a few highlights you may not want to miss! 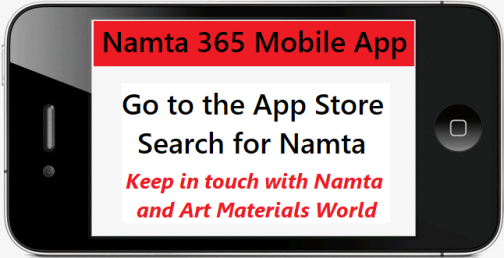 Namta’s Art Materials World 2018 in Dallas had the highest total attendee/exhibitor numbers in six years and the most buying company participation in 3 years. More than 86% of the attendees rated the event a 4 or 5 on a scale of 1-5 and over 98% of the attendees said they’d recommend the show to a friend. Available online on November 1, 2018. Attending the show is free for Namta Members. Millions of people across the country celebrate the many ways the arts are transforming our communities - and you are invited to join. Each day in October on Instagram, people are celebrating National Arts and Humanities Month by taking part in the #ShowYourArt2018 campaign. It's an easy way for you to be creative and share how important the arts are in your day-to-day life. All you have to do is post a photo to Instagram each day responding to the daily topics above—and be sure to tag @Americans4Arts and use the hashtag #ShowYourArt2018. 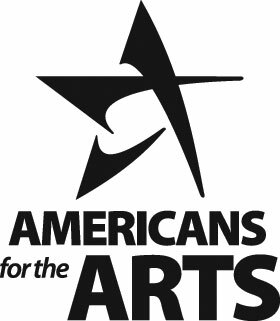 Americans for the Arts has released one of the largest national public opinion surveys of American perceptions and attitudes towards the arts and arts funding. The new research demonstrates that Americans continue to be highly engaged in the arts and believe more strongly than ever that the arts promote personal well-being, help us understand other cultures, are essential to a well-rounded education, and that government has an important role in funding the arts. Check out the data. 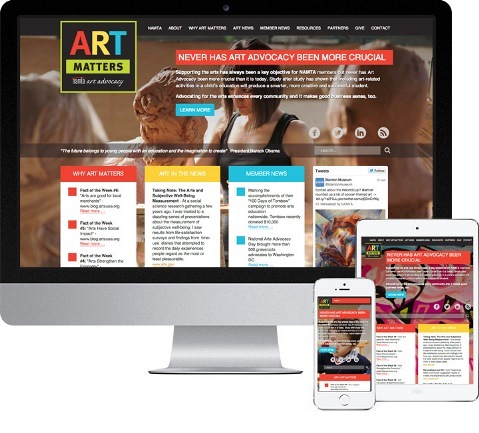 Visit Namtaartadvocacy.org for resources and facts about Advocating for the Arts and check out Art in US News Page. T o get the most out of your meetings, schedule them while minds are fresh and moods are up—and ahead of the afternoon slump. You know the dreaded mid-afternoon slump: that loss of energy that no amount of caffeine can fix. Do you keep it in mind when you book time on your—and your colleagues’—calendar? Rule of thumb: For maximum productivity, schedule meetings and calls before lunch. It’s true that people might hit their peak productivity at different times, but they are likely to feel more energized in the morning after a good night’s rest, said Josh Davis, author of Two Awesome Hours: Science-Based Strategies to Harness Your Best Time and Get Your Most Important Work Done, in an interview with Fast Company. Executives are also more likely to be in a better mood earlier in the day, according to Daniel Pink, the behavioral science author behind the book When. After lunch, especially if it’s a carb-loaded meal, energy levels can drop dramatically—leaving you and your team less able to focus and get work done later in the day. For meetings that require a lot of brainpower, the morning hours are usually best. Just ask Amazon CEO Jeff Bezos, who takes important meetings only during the first half of his day. Of course, finding the perfect time to touch base with your coworkers can be difficult when you’re juggling multiple schedules. But if you’re planning an important meeting in the late afternoon, consider holding off until the morning so your team can come refreshed and prepared to bring their best thinking. Articles from the Web that may be of interest to members. To many consumers, chatter about the holiday season may seem slightly out of place in September, but for many small business owners across the United States, the crisp fall air carries the promise of increased sales, but not without a cost. While many businesses do experience a steady increase in customers and sales between now and the new year, that growth is often preceded by operational costs. Purchasing the right amount of inventory; amping up marketing up efforts; and, of course, attracting, interviewing, onboarding, and paying seasonal workers can be hard on the bottom line. Unfortunately, a good holiday season often hinges on those expenses. So, what do you do if you need to hire employees – and meet all the other holiday financial obligations – but your budget is a bit thin? How can you afford seasonal workers for the holiday rush? You know you need seasonal workers, but how many do you really need? To answer this question, you’ll need to take a few things into consideration: historical need, expected performance, current employee expectations, and legal requirements. How many employees did you hire last year and did what, if any, challenges did you face? Did you have just the right number of workers? Were you overstaffed or understaffed? The answers to these questions should help you determine just how much money you need to free up for holiday pay. Yes, you’ll need to make payroll requirements, but when it comes to affording seasonal employees, there are other factors you’ll need to consider. Attracting, interviewing, onboarding, and training seasonal employees can also take up a fair share of your budget, so before you commit to a specific amount, you’ll need to account for all the hidden costs associated with seasonal work. The good news is that you may have a little more wiggle room with these costs than you do with things like payroll. 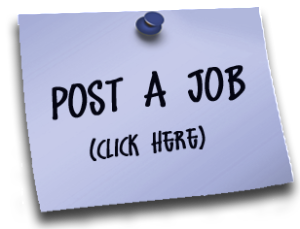 For example, you may be able to attract employees through social media or employee referrals as opposed to paying an agency or taking out additional space. That said, all employees – permanent and seasonal – should be properly onboarded but hiring seasonal workers from the year prior can help you cut down on some of the costs (and stress) of finding, interviewing, and training new employees. It’s likely you’ll still need to give these employees an orientation refresher, but you can potentially save time and money by eliminating long training or onboarding programs, which often requires members of management or full-time staff to put in additional hours. Eligibility for lines of credit and short-term loans is largely dependent on your time in business and credit history, so if you don’t have great credit or haven’t been in business very long, then you may find it difficult to secure either, or if you do, you may find that you have a high interest rate. The good news is that even if your interest rate is high, as long as you can pay it off fairly quickly, it’s still can be a valid way to pay for the much-needed seasonal staff. If you’re considering financing your payroll, the best place to start is with the Small Business Association (SBA), which provides a variety of lending opportunities to small businesses. Not exactly the most helpful bit of knowledge when you’re up against the Q4 clock, but it’s worth mentioning, even if it’s only useful for the following season. As you close the books on one year and enter the new one, take time to include seasonal employment and payroll in your holiday recon discussions. Once you’ve crunched the numbers and have a solid picture of your needs, you can begin to strategize about how you’ll meet those requirements for the year to come. The holiday season may be a time for increasing sales and promising revenue growth, but sometimes that means facing growing operational costs in the days and weeks prior. If you’re concerned about paying seasonal workers, you’re not alone. Fortunately, for those who can’t meet the immediate financial needs that come with seasonal employment, short-term loans and lines of credit can offer relief from this particulate holiday stressor. David Pinkerton from The Art Store in Lancaster, Pennsylvania is offering the sale of the store's inventory that can be moved to a new location in Lancaster (the current location's lease is no longer available), or to another location you have. Lancaster has a great arts community with many art schools including Pennsylvania College of Art & Design, Franklin and Marshall College and Millersville University. There are many local working artists and Gallery Row on Prince St. Contact David at [email protected] or call 610.207.2710.